It's that time of year again, it sneaks up on us and before you know it the days are short, the temperature drops and it’s time to dust off that turbo or drag the thermal kit out. Winter training is all about setting a solid foundation to build upon for the next season. With that in mind it’s important not to neglect good nutritional practices. 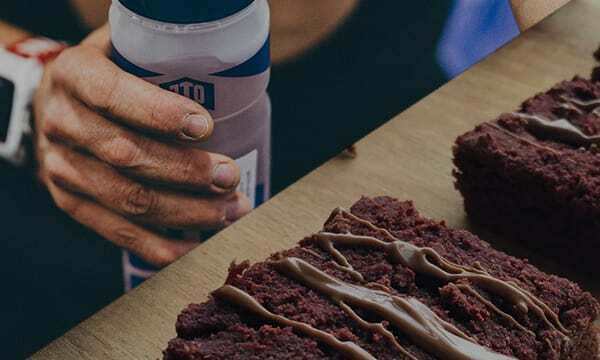 The call of cake in the off-season is often a weakness of us all but remember optimal fuelling and recovery when training are going to help towards bigger training adaptations, so it’s worth sliding that cake to one side. Make sure you set yourself up for long training miles with a good carbohydrate based meal. Consume this meal 2-3 hours before training where possible to allow it to settle. 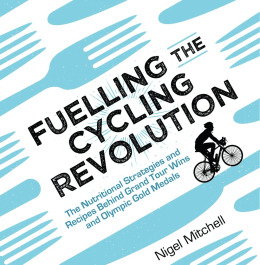 If you have to eat closer to training then eat a lighter meal and make sure you’re ‘on the bike’ fuelling is right. A simple meal prior to your weekend club ride is good old porridge made with milk. Training on an empty stomach is not wise for long or intense winter training, you will not get the desired training effect and you may even start to break down muscle as an energy source. A planned training ride should always have planned nutrition. 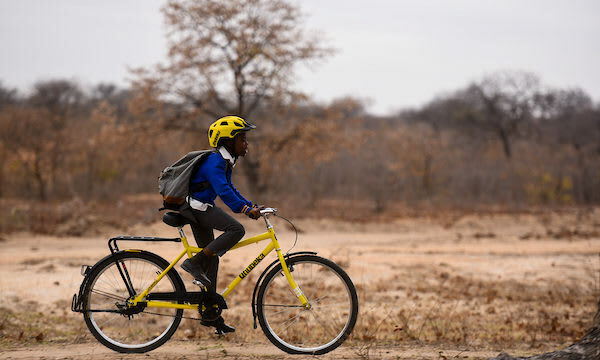 Make sure you are taking adequate food and drink with you to fuel the whole ride, the last thing you want in the midst of winter is to run out of energy miles from home. Be sensible, eat, drink and fuel. Cold weather should not necessarily mean increased energy intake, it’s only when you start shivering that you burn more energy. Keep moving and dress appropriately. Aim to consume 1g of carbohydrate per kg body weight per hour (1g/kg/h) to sustain your energy levels at a brisk riding pace. Consuming carbohydrates during training has also been found to aid immune function, which is particularly important in the winter months as the dreaded colds do the rounds. Top Tip – Winter layers and gloves make it harder to access or open your energy food. Break these barriers down by making sure your food is in small bite size pieces or easy to open packaging. This may mean you need to open some packaging before you set off, and make sure you have your food in easy to reach pockets. 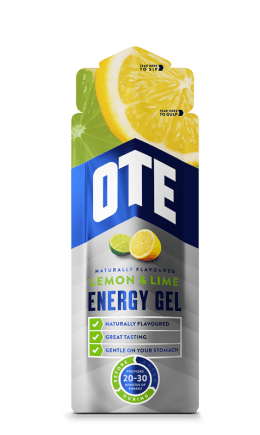 Top Tip – Prevent the bonk during long training rides or runs by having emergency food such as an OTE energy gel in your pocket. This can be a life saver and enable you to get home safely. Hydration Tips – How often have you carried round full bottles of energy/hydration drink on your bike in winter and never touched them? Granted, freezing cold drinks aren’t the most desirable but staying on top of your hydration as well as fuelling is important. You may not feel like you are sweating as much but with multi-layers of kit on you will still be sweating. It is therefore important to remember to drink. As little as a 2% loss in body weight through sweating has been shown to reduce performance, so don’t compromise your training by forgetting to drink. Approximately 500ml per hour should be sufficient or try and stay just ahead of the feeling of thirst. 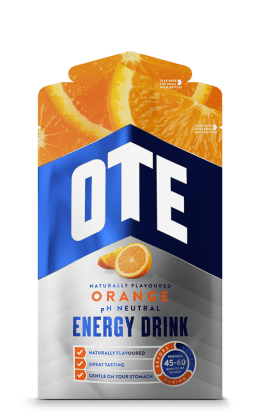 Using products such as OTE energy drink makes for a much more palatable, lighter on the stomach and enjoyable drink, whilst providing carbohydrates and electrolytes too. Top Tip from the Pros – When it’s really cold they often set off with a bidon (bottle) full of sweet tea. Agave nectar is a great sweetener and often used. 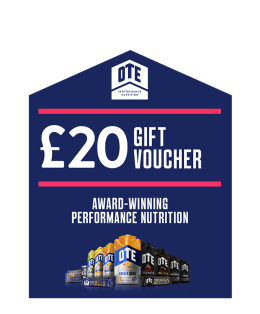 Whether you train outdoors or indoors it makes no difference, getting your post-training nutrition right is going to make a huge difference towards helping your body adapt and improve from the training you have undertaken. So what do you eat? 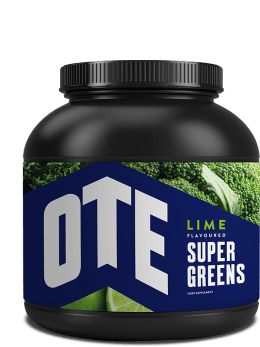 It needs to be a combination of carbohydrates and protein, carbohydrates to replenish the stores in your muscles and protein to aid the recovery of muscle damage. 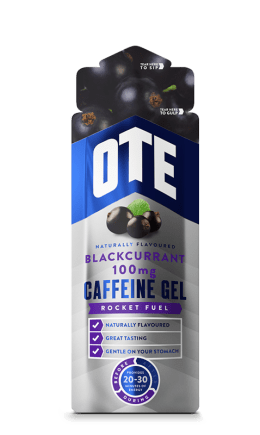 You also need to opt for something that’s quick to make and ideally something that is rapidly absorbed as our bodies have a 30 minute ‘window of opportunity’ post training. Eating within this time frame has been shown to be the best way to optimise recovery, especially if you have multiple training sessions within a 24 hour period. Basically, the sooner you eat and hydrate the better your recovery and adaptation will be. 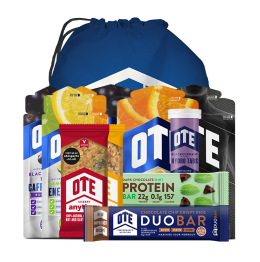 Note – There is only a small portion of protein with each snack, this is because your body can only process around 25g of protein at one time, eating more protein than this isn’t beneficial and is more expensive. Top Tips – Be organised. If you know you have a long winter training ride planned make sure you have your recovery strategy planned and ready to go as soon as you get back. 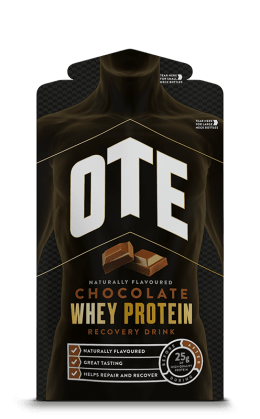 OTE recovery shakes are perfect for this as they have been specifically formulated and can be made instantly and effortlessly, even when you are tired. Another way to optimise recovery and help to build muscle is to have a source of protein (25g) just before bed to slowly feed your muscles throughout the night. A glass of milk, yogurt or a small protein shake are good examples. 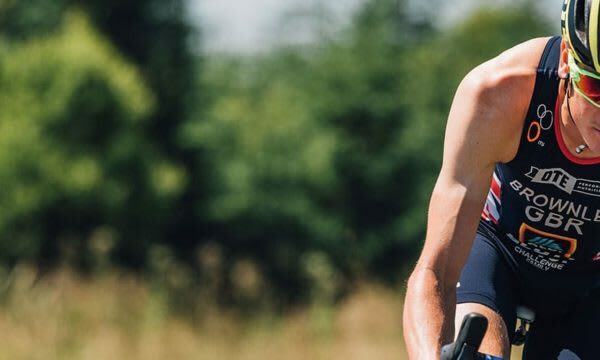 If you are riding or running to work, basically using your commute as part of your fitness or training regime then you should still adopt good nutritional and hydration practices. If your commute takes 45 minutes or more make sure you have a small portion of protein and carbohydrate either before you leave or once you arrive at work. A bowl of porridge once you arrive at work would be ideal. However, if you don’t have the facilities or it’s not an option to do this at work then a recovery shake would do the job. Using your commute to work as part of your fasted training regime once or twice a week during the winter months is a great way of ‘turning’ your commute into a training session with a specific aim. Instead of riding as fast as you can and racing every other commuting cyclist you come across, be smart and use your commute to a greater effect towards next season’s goals. Don’t compromise your winter training with poor nutrition, be sensible and organised.